There was good reason to celebrate as the construction of Harpeth Square reached a crescendo Friday with a topping out ceremony. Employees of R.C. Mathews, the contractor for the downtown Franklin project, were treated to Moe’s’ Bar-B-Que for a worker appreciation lunch. The topping out ceremony was for the second phase of the project, the multi-family portion. According to Kaitlyn Jones, director of marketing for R.C. Mathews, it was the last structural element for phase two. “This is as high as the project will go, and the crane will be coming down at the end of the month,” Jones said. The hotel portion topped out in August of last year, and the new Curio Hilton Hotel is slated to open sometime in late summer to early fall. Bacon said Friday’s work means they have finished the concrete floor on the top, which is the fourth and highest floor of the project. 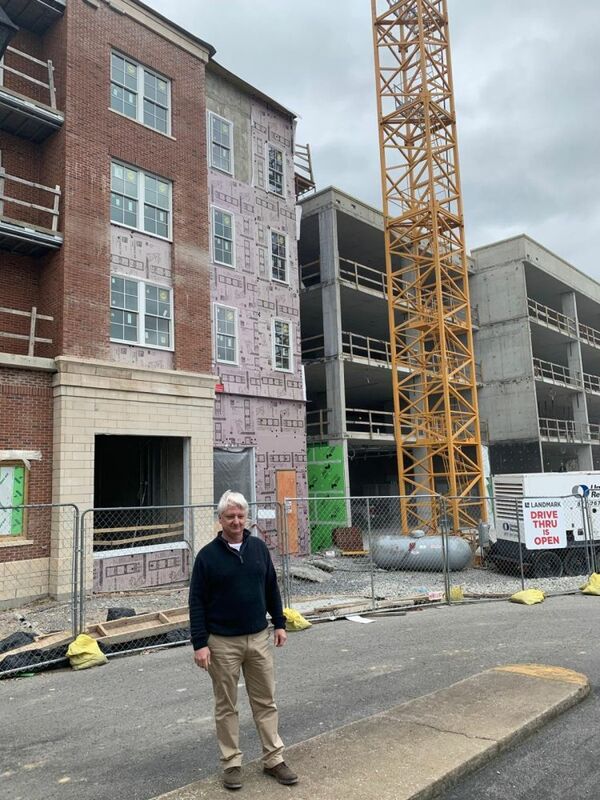 Harpeth Square will feature a Curio Hilton Hotel with a soon-to-be-named gourmet restaurant, 150 leased residences, 15,000 square feet of retail space, 3,600 square feet of office space and a five-story parking garage. For more information about the project, visit www.harpethsquare.com.